Bats are a key biological control of insect populations, in particular night-flyers such as mosquitoes and moths that impact human health, orchards and field crops. Nine species of bats have been reported in the islands, but their distribution and status were unknown until Kwiáht began systematic surveys in 2010. Relying on reports by local homeowners followed by site visits, Kwiáht has thus far been able to locate 23 maternity colonies on the four largest islands, including several colonies of scarce and beautiful Townsend's Big-Eared Bats. There are very few caves or rock shelters available for bats in the islands, and relatively few natural cavity-forming deciduous trees such as willows or oaks. Bats compete with birds and rodents for cavities chiseled out by Pileated Woodpeckers in older conifers but extensive logging and clearing in the 1880s-1940s has left the islands with mainly young coniferous forests. 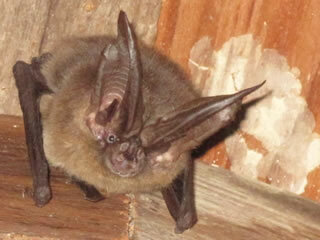 We find most bats under shingles or in well insulated walls and attics. It is possible that bats once roosted in the eaves of cedar-plank houses of Coast Salish villages; then switched to the split-cedar barns and cabins of Europeans who settled in the islands in the late 19th century. Island bats are threatened by the deterioration, renovation, or demolition of old barns and cedar-shingle homes, as well as continued clearing of cavity-forming trees and mature conifers. 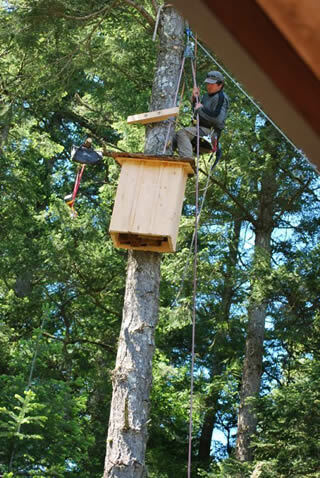 To address this threat, Kwiáht has designed well-insulated, high-thermal-mass bat boxes large enough to accommodate maternity colonies of 50 to 250 bats, mounting them high on mature conifers on woodland edges close to existing bat colonies. Boxes are provided to homeowners and farmers without cost, and monitored for bat activity. Where feasible, Kwiáht associates work with contractors to renovate deteriorating structures in ways that permit bats to remain undisturbed in residence, using bat boxes only for backup. Kwiáht researchers believe that most island bats simply disperse and reduce their activity in winter, rather than hibernating or migrating from the islands. 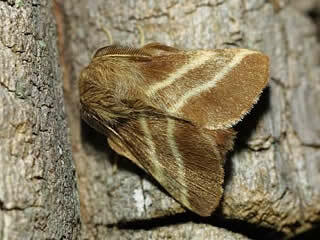 Homeowners often find active bats in attics and sheds in winter, and the woodlands covering the islands' higher elevations such as Lopez Hill and The Turtleback offer well-documented winter refuges for insectivorous birds such as Winter Wrens, Kinglets and Pine Siskins, because many bark-boring insect larvae emerge as adults in winter—including an entire Tribe of moths, the Xylenini, as well as many beetles and sawflies. Winter bat-detector surveys in island forests are being conducted to document bats' use of these habitats and confirm which of our island bat species remain active in residence.